The Chitra Nakshatra, also known as the bright one, spans the cusp of Virgo and Libra. Unlike most of its sister Nakshatras, it is immortalized in a single star called Spica. One of the brightest stars in the night sky, Spica holds fast as the Virgin’s hip. The Vedic Jyotish clerics related this star to Vishwa Karma, the divine architect, who presides over this section of the sky. It is told that Vishwa Karma, had a daughter Sanja who was the embodiment of consciousness. The young woman was to be married to the Sun. Shortly after their divine union Sanja began to complain to her father. She wasn’t satisfied and found her husband’s brightness overwhelming. With great concern for his daughter’s happiness, Vishwa Karma sought a solution to the problem. He used his cosmic powers to make the Sun smaller. As the remnants flew out into space, the planets of the solar system were created and our Sun took its present form. Chitra governs the physical form of all that is in the Universe. The Nakshatra is associated with pressure and upheaval. This is illustrated through its symbol the jeweled serpent. 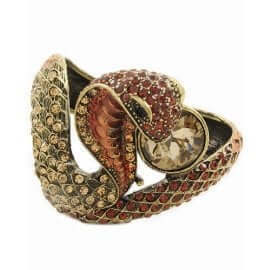 The serpent represents transformation and a gemstone can only manifest after rocks and stone have been subject to great pressure over extended periods of time. Also connected to creativity and Dharma (Universal Law) the Chitra birth star native sees the Truth in all situations and carries great amounts of wisdom. The influence of Venus is negligent on Virgo’s side of Chitra. This impedes the native’s ability to realize certain aspects of it ruling planet Venus. 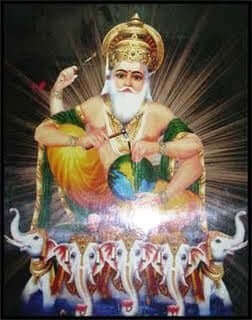 Cultivation of Chitra’s energy is required to fully evolve the Nakshatra. Left unattended, the native will be challenged to realize qualities such as unconditional love, emotional stability and integrity. Very emotional folks they may become overly attached to their belongings. Their identity is often reflected in their belongings and they may lose sight of themselves quickly if they are kept from their sentimental treasures. This attachment leaves them emotionally vulnerable and they must be mindful to avoid hoarding behavior. The Chitra native is known for their unique appearance and slim body-type. Their height may give them a domineering appearance which is a complete contradiction to their kind nature. Overly sentimental and emotional their moods are known to swing wildly and they may also have difficulty maintaining their composure during times of stress. Their emotional nature leaves them vulnerable and susceptible to variable states of mental wellness. It also makes these natives self-absorbed with a tendency for sharp words and poor communication skills. Often misunderstood, these are friendly people, whose eccentric behavior may be the cause of much confusion. Smart and kind with generous hearts, the Chitra is a true humanitarian. They will often volunteer to work with the poor and homeless populations. Steadfast and true, they can overcome most obstacles placed before them. Hard-working and self-motivated, the Chitra native is programmed for success. They face change and challenge unfettered and their determination can be seen to increase with the level of adversity. Perfectionists, they tend to surpass expectations and achieve new forms of perfection in all their endeavors. The Chitra natives are effective in many sectors and are found to excel in factory work, mechanics, engineering, textiles and politics. They are drawn to interior design, landscape design and other such work which nurtures their love of all that is beautiful. Frequently lacking a father figure, the natives are known to be good to their mothers. If they have siblings, they tend to take on more than their share of responsibility. Emotional and vulnerable, they may place themselves in exile and avoid their birth family for extended periods. Their wedded lives are stable, yet peace and satisfaction will evade the couple indefinitely. 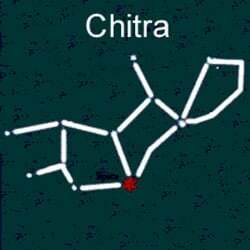 Faced with many health challenges, the Chitra will experience inflammation, kidney and bladder issues, fever, and tumors. They may also be prone to depression and irritability. Next What Is The Third Eye Chakra?